Circular-shaped nasopalatine duct cyst (incisive canal cyst) located in the region of the maxillary central incisors. The central incisors are vital and have intact periodontal ligament space and lamina dura. Is a developmental cyst derived from embryonic epithelial remanants of the nasopalatine duct. It usually contains a primitive organ of smell and both nasopalatine vessels and nerves. It occurs in adult 4th to 6th decades. Occur more frequetly in men. It may be symptomless or present as a slowly enlarging swelling in the front region of the midline of the palate. Occasionally it discharges into the mouth in which the person may complain of a salty taste. Pain may occur if the cyst becomes secondarily inflamed. Found in the nasopalatine foreman or canal. Depending on the location of expansion it has different variations. Circular or oval in shape, but sometimes the nasal spine covers the cyst giving it a unique heart shape. 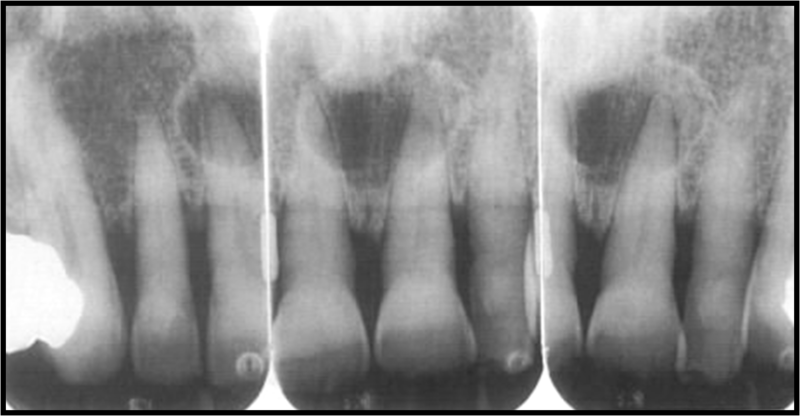 Most cases the Cyst cause the roots to diverged or in some rarer case leads to root resorption. Its a variation of nasopalatine cyst, they are rare and occur in either the palate or the lower jaw. If this cyst extends posteriorly to involve the hard palate ,it often is referred to as a median palatal cyst. 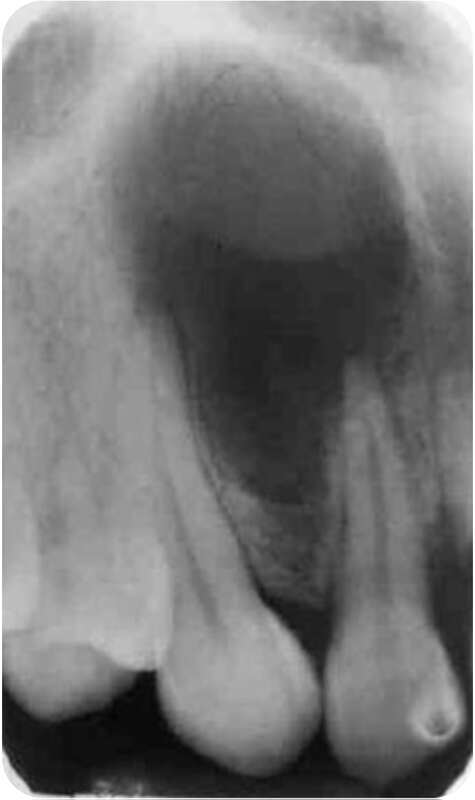 If it expands anteriorly between the central incisors, destroying or expanding the labial plate of bone and causing the teeth to diverge, it sometimes is referred to as a median anterior maxillary cyst. 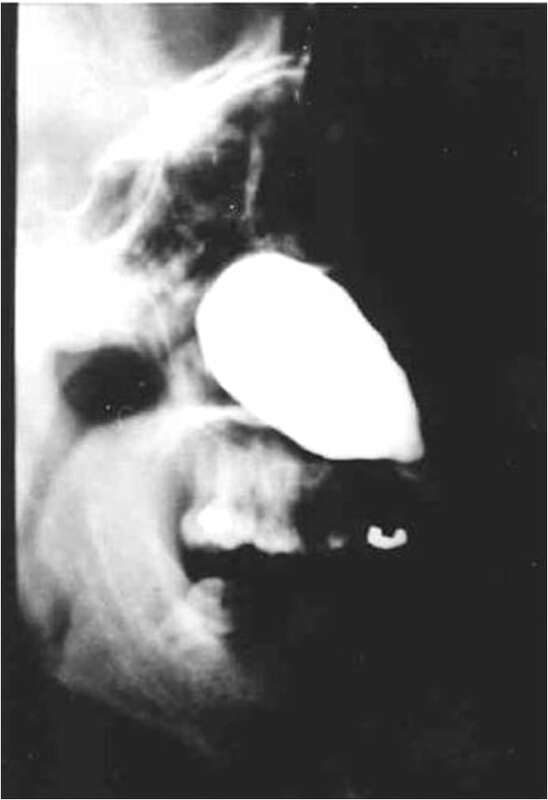 Globulomaxillary cyst showing the characteristic inverted pear-shaped appearance between the maxillary canine and lateral incisor. Epithelium entrapment within a line of embryological closure with subsequent cystic change. located between globular and maxillary processes. Premaxilla and maxillary processes do not fuse. 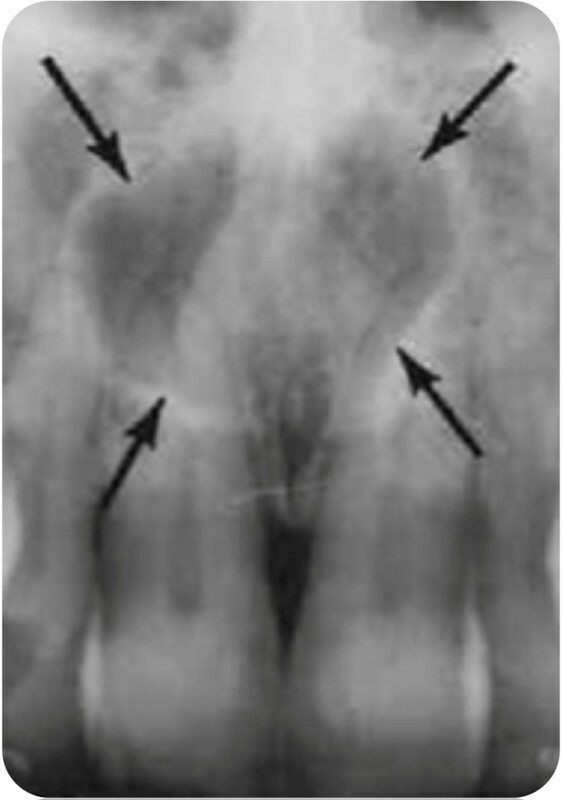 The cyst often produces divergence of the roots of the maxillary, lateral incisor and the canine. Treatment and prognosis are determined by definitive microscopic diagnosis. Nasolabial cyst is a soft tissue cyst which is made visible on the radiograph by injecting it with a radiopaque dye. The nasolabial cyst is a rare lesion which arises in the soft tissue of the upper lip just below the ala of the nose. It has been suggested that it arises from remnants of the embryonic nasolacrimal duct. It is a Cystic change of the solid cord remnants of cells that form the nasolabial duct. Soft tissue swelling over the canine region or mucobuccal fold. No radigraphics changes in bone. It presents as a slowly enlarging soft tissue swelling obliterating the nasolabial fold and distorting the nostril. The cyst may arise on both sides of the face. Intelligent Dental by Dr. MEIFONG.